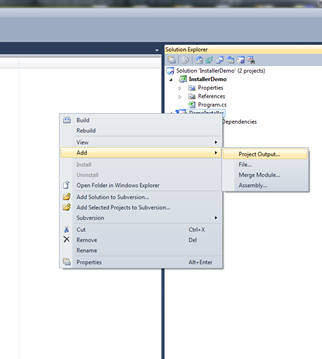 « Powershell … shell on steroids !! 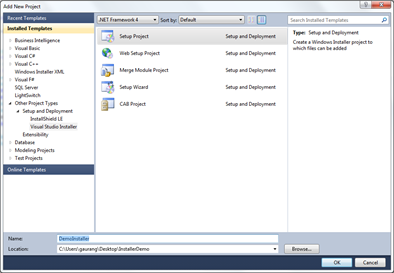 And then I added new “setup project” from Add New Project –> Other Project Types –> Setup & Deployment –> Visual Studio Installer –> ”Setup Project”. 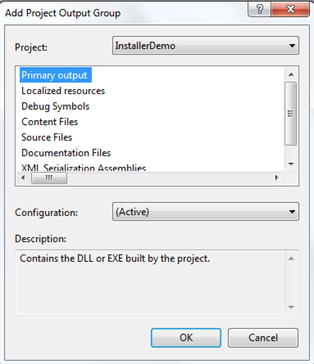 Once added, right click on project and select project output. Now we know that my “Installer Demo” project will generate an exe so for Project Output, I selected “Primary Output” option which will basically add whatever referred project will generate in BIN directory. 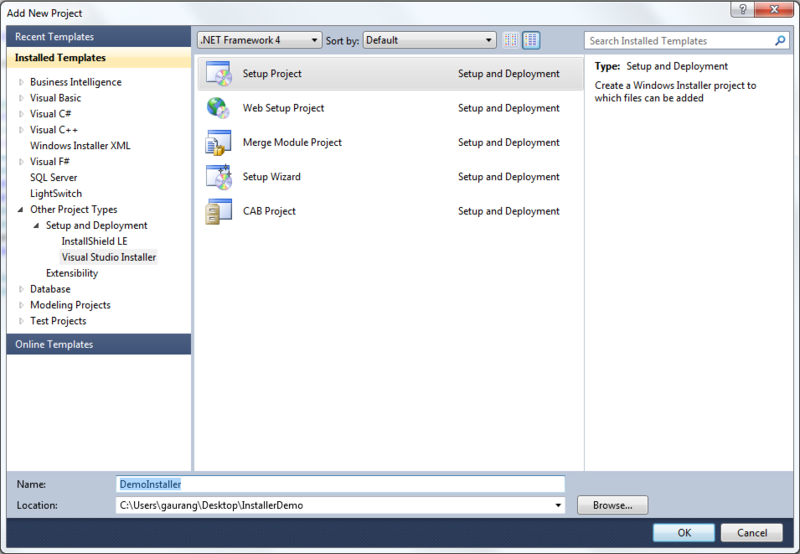 Since this “Installer Demo” project uses .NET framework, this installer project will add .NET references by itself (but sometimes you have to add reference manually). And that’s pretty much of it !!! 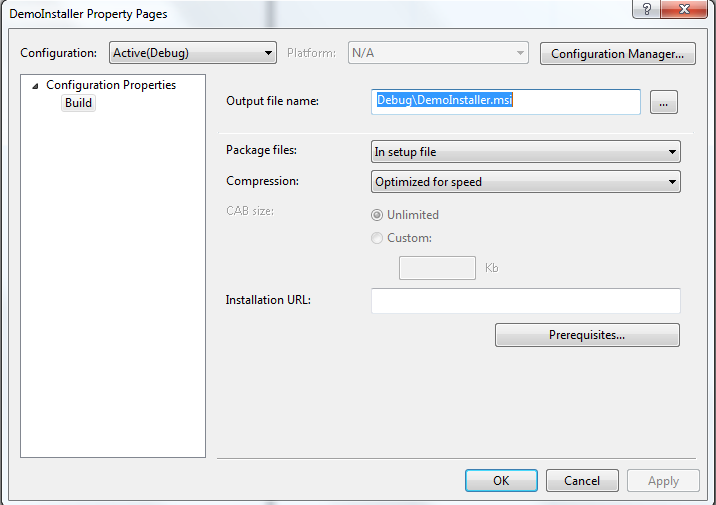 If you build you application now, it will create MSI file with an EXE file. 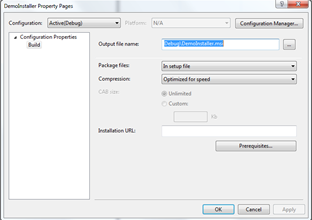 And then you can use tool like ORCA to edit MSI file settings. But I modified few setting right in project so I don’t have to use ORCA. I have attached project that I have used for this demo. 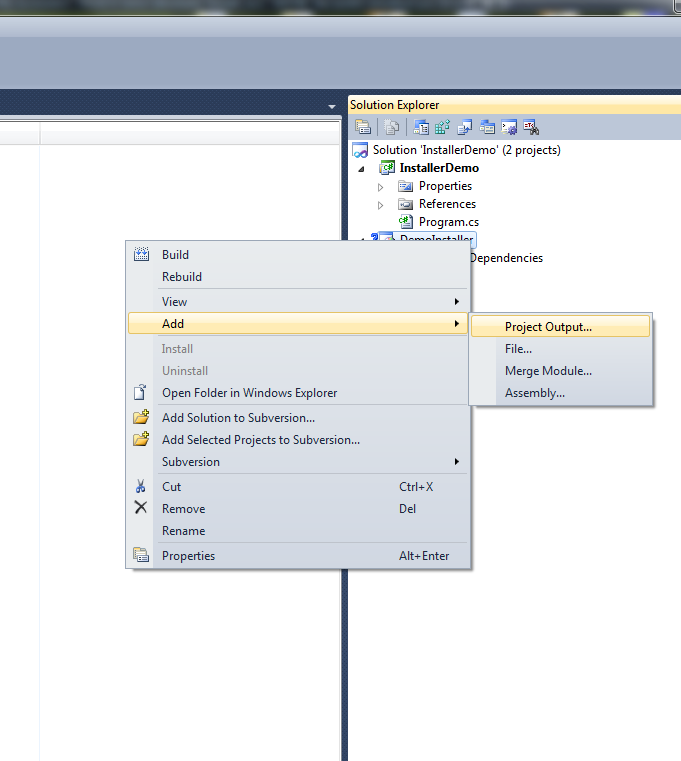 This entry was posted by Gaurang on March 31, 2012 at 1:01 am, and is filed under .NET, How To, Visual Studio. Follow any responses to this post through RSS 2.0. You can leave a response or trackback from your own site.